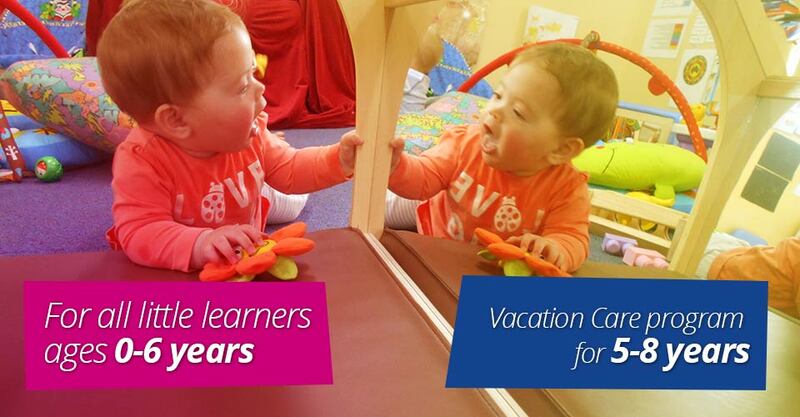 College Community Child Care Centre operates with an Early Childhood Teacher and Diploma Qualified Educators and Qualified Assistants. 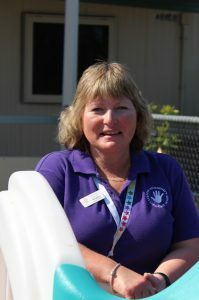 Hi, My name is Judithanne and I have been the Director at the centre since 2010. I live in Eaton with my husband and our 1 furry child and many fin children. I am Aunty to 6 nieces and 1 nephew. 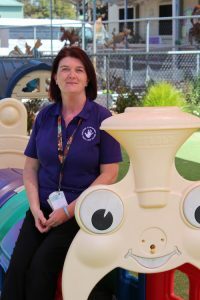 With 25 years educating and caring for very small children – I have been at this centre since January 2000, I enjoy supporting children’s growth and learning. In 2017, I completed a Certificate in Professional Writing for Children and am considering Interior Design for my next study challenge. I enjoy being creative and crafty and growing things that can be eaten. I love to cook and am known as the go-to when the staff have a craving for something sweet. I hold an Advanced Diploma of Children’s Services and Cert 4 Training and Assessment. 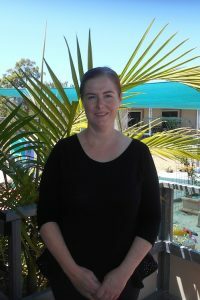 Hi, My name is Cathy and I am the Assistant Director and Pedagogical Leader at the centre. I live in Boyanup with my husband who I have been married to since 1993. I have 2 adult children and 4 furry children. During the many years, I have enjoyed this career, I have worked every job role from Cook right through to Director. I enjoy guiding very young children in reaching their academic and social potential as they begin to place their footprint on the world in which they live. I enjoy photography, reading and listening to a broad range of music. Something interesting that people might not know about me: Before entering early childhood education and care, I was a trained Pastry cook for 16 years. 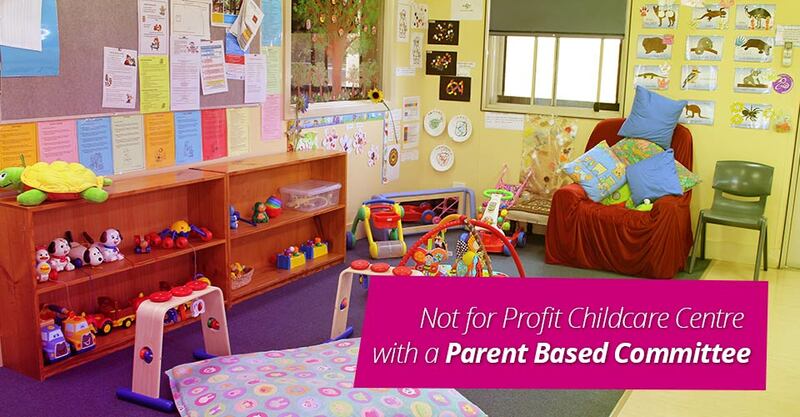 I hold a Diploma of Children’s Services and Cert 4 Training and Assessment. Hi, My name is Heather and I am a Room Leader. I live in Bunbury with my husband. Together we have 7 children, 3 grandchildren and our furry child – a cat. I was born in Melbourne and have driven across the Nullarbor solo a total of 7 times. I was fortunate to fall into this career in 1994 and realised quickly this was the career I wanted to continue in. 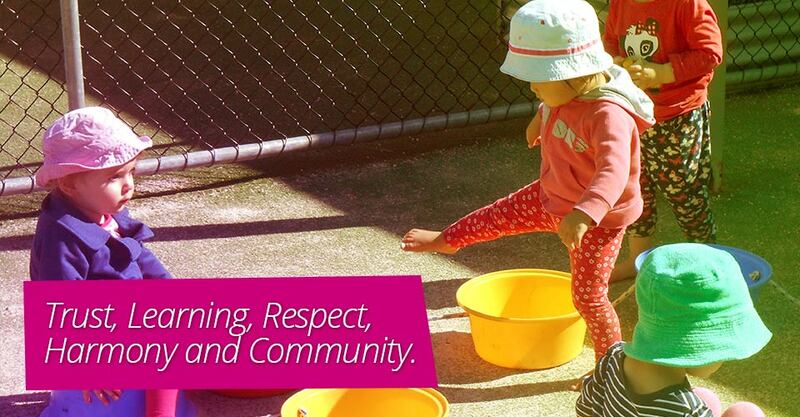 I hold a Diploma of Children’s Services, a Cert 4 of Disability Services and a Cert 4 in Training and Assessment. 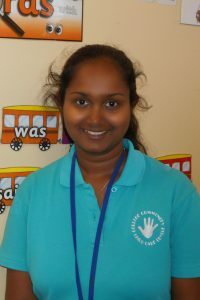 Hi, My name is Tanya and I am a Room Leader. I live in Bunbury. I have 3 children and 2 grandchildren. We live with our 2 furry children. 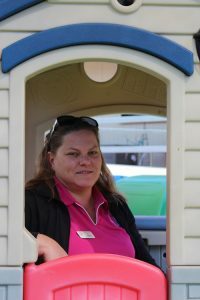 I enjoyed helping as a volunteer at my children’s school when they were younger and after working 6 years in the Coles Meat Department, I decided to make a career change to Early Childhood Education and Care. This was in 2012 and it has been the best decision I have ever made. 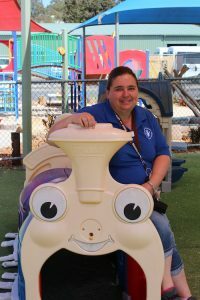 I am interested in furthering my career in the near future to assist children with disabilities and/or special needs to feel included in learning and life. I enjoy swimming, fishing, walking my dogs and mudfests. I recently completed the Colour Run. I hold a Diploma Of Education and Care. Hi, My name is Nora and I am a Diploma Qualified Assistant. I live in Bunbury with my husband. We have 3 children. 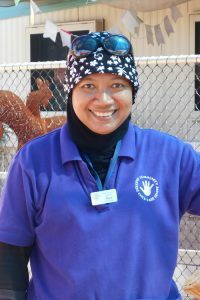 I was born in Kuala Lumpur, Malaysia and emigrated to Australia in 2009 leaving my 2 adult children back home so that I would always have a place to return and visit. I enjoy educating children on the different cultures of our world. In addition to being fluent in English, I also speak Bahasa Melayu. I enjoy travelling, cooking and listening to music. I hold a Diploma of Children’s Services completing this in 2011. Hi, My name is Hayley and I am an Assistant Educator. I live in Bunbury with my partner and our son and 2 finned friends. I was born in Perth. I chose this career to provide love and support for each and every child. I want to help, guide, teach and assist children to develop for their futures. 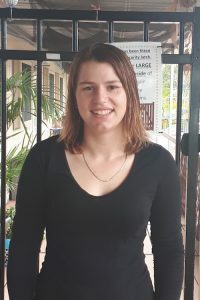 I love spending time with my family and look forward to extending my career knowledge and skills by completing a Diploma of Early Childhood Education and Care and Special Needs support. Something interesting that people may not know about me; I was born on the 29th February which means that I have only ever had 5 true birthdays as this date only comes around every 4 years. Hi, My name is Aleisha and I am a Qualified Educator. I live in Bunbury though I was born in Albany in the states South then moved to Mt Newman in the North West when I was 1 year old. 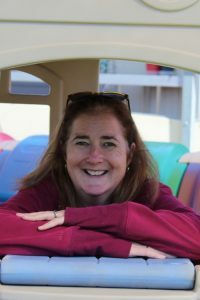 My family and I lived there for 10 years among the red dust – perfect for making mud pies : I have been happily married since 2004 and my husband and I have 3 beautiful children and 1 furry child. I chose this career because I love the way children are so accepting of each other without judgement. I also love seeing their amazing progress and development as they grow. I love to cook and bake – though my baking needs some work. I also enjoy arts and crafts, scrapbooking and have an orange belt in karate. I speak a little French and hope to visit France one day.